Anyone who has had depression at some point in their lives knows how hard it can be to live with. Dwayne Johnson, the once two-years-and-running highest paid actor in Hollywood before Mark Walhberg beat him on the Forbes list this past year, is apparently no stranger to this struggle. In a recent interview with Express, the Jumanji and Rampage star revealed his history with depression, and how he barely pushed through it. When discussing his history, Johnson revealed that he was not the only one in his family to endure it. When the actor and WWE Superstar was young, his mother also struggled with depression and suicidal thoughts. When he was 15, not long after he and his mother had been evicted from their apartment, Johnson recalled his mother attempting suicide by walking into the middle of a busy road. The actor had this to say. "She got out of the car on Interstate 65 in Nashville and walked into oncoming traffic. I grabbed her and pulled her back on the gravel shoulder of the road... What's crazy about that suicide attempt is that to this day, she has no recollection of it whatsoever. Probably best she doesn't." Unfortunately for Johnson, this was just the start of his fight with depression. 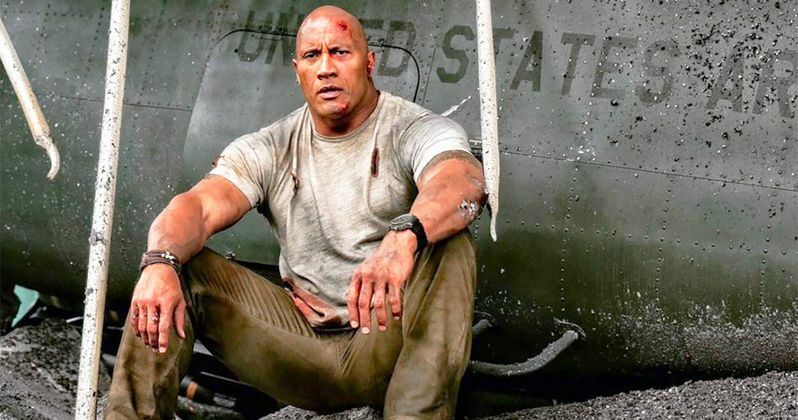 While seeing his mother go through it certainly had an effect on his mental well-being, The Rock revealed that the greatest struggle came several years later. For his entire early life, Johnson had dreamed of becoming a professional player in the Canadian Football League. However, while he did get signed on to pursue this career, his dreams were shattered when his contract was not renewed after his first year. He had endured too many injuries, and his Football career came to an abrupt end. To make matters worse, after being ditched by the Canadian Football League, Johnson was dumped by his girlfriend. He described this point in his life as his "absolute worst time." Fortunately, Johnson pushed himself to keep his head up and keep moving forward. After seeing the suicidal tendencies of his mother, Johnson knew how bad depression could get, and did all he could to make sure he never reached the point of suicide himself. Today, Johnson is much stronger than he was before. His story is actually quite inspiring. Even though his career abruptly ended, new doors opened later for him, and today he is one of the most well known faces around the world. Had he not kept his head up and fought through the pain, Dwayne Johnson may not have become the star that he is today. Hearing a celebrity as strong and stable as Dwayne Johnson open up about his weakest moments is actually quite inspiring. Talking about your greatest struggles in life is not easy, as many people know, so it really shows how much stronger Johnson has become since his depression. Almost anyone who has encountered Dwayne Johnson can vouch that he is one of the nicest guys in Hollywood, and Johnson has on a number of occasions reached out supportive words of advice to those struggling with depression and other mental illnesses on social media. This story first appeared at Foxs News.